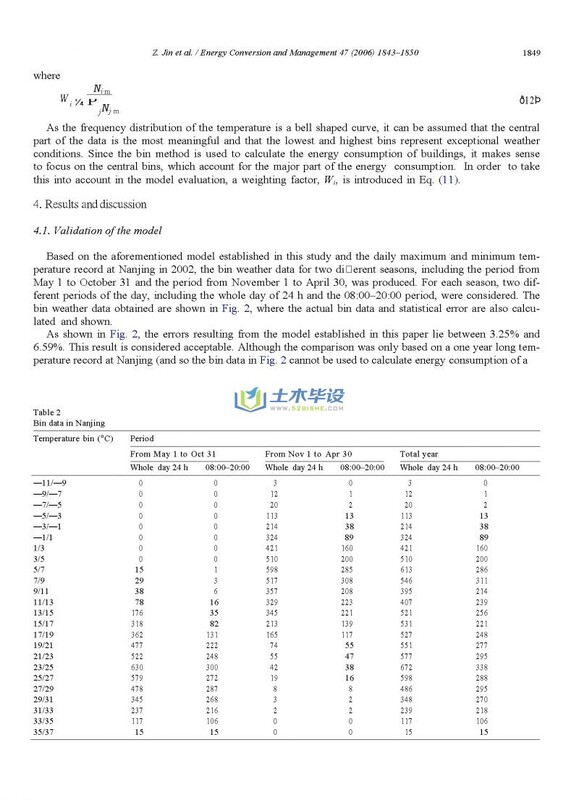 The bin method, as one of the well known and simple steady state methods used to predict heating and cooling energy consumption of buildings, requires reliable and detailed bin data. 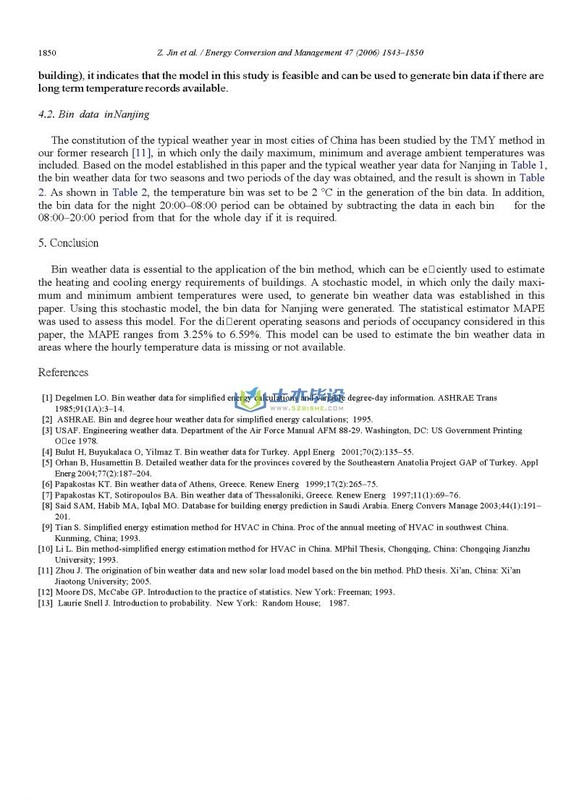 Since the long term hourly temperature records are not available in China, there is a lack of bin weather data for study and use. 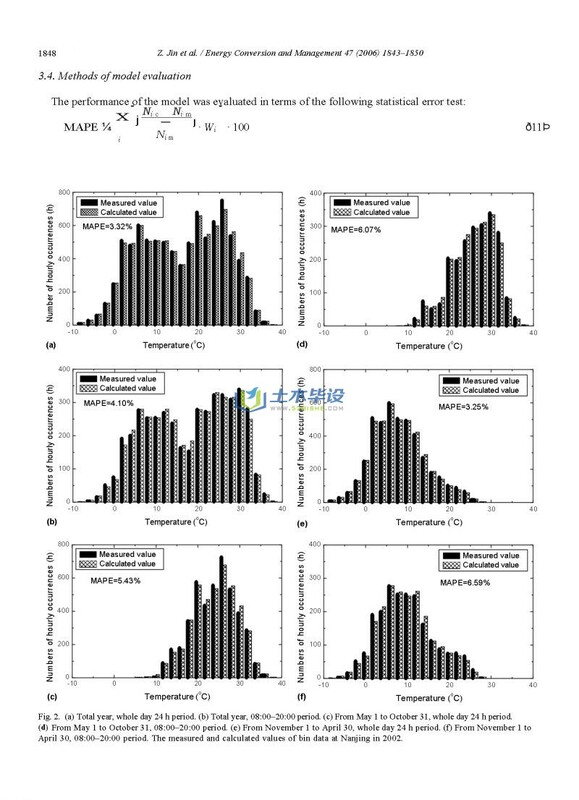 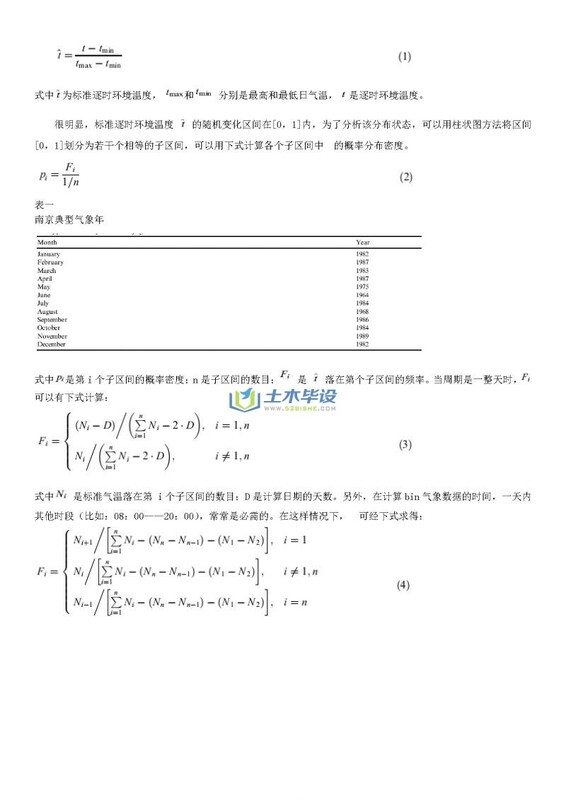 In order to keep the bin method practical in China, a stochastic model using only the daily maximum and minimum temperatures to generate bin weather data was established and tested by applying one year of measured hourly ambient temperature data in Nanjing, China. 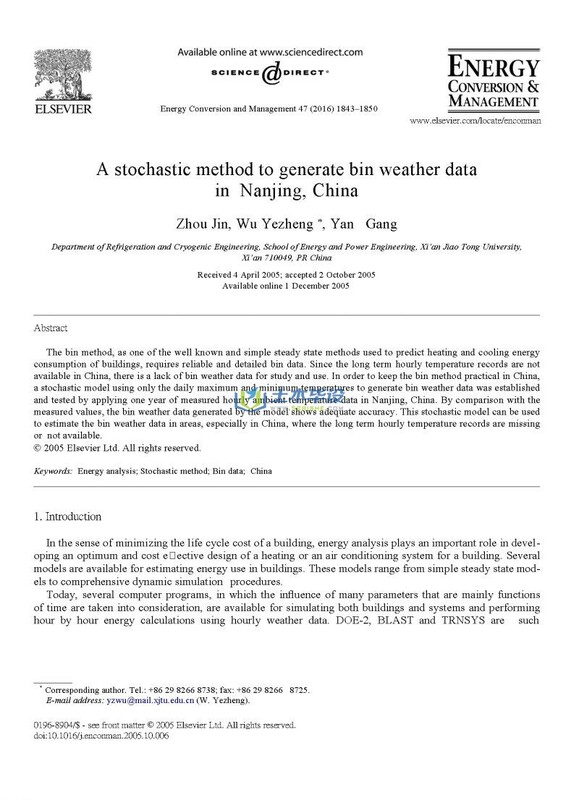 By comparison with the measured values, the bin weather data generated by the model shows adequate accuracy. 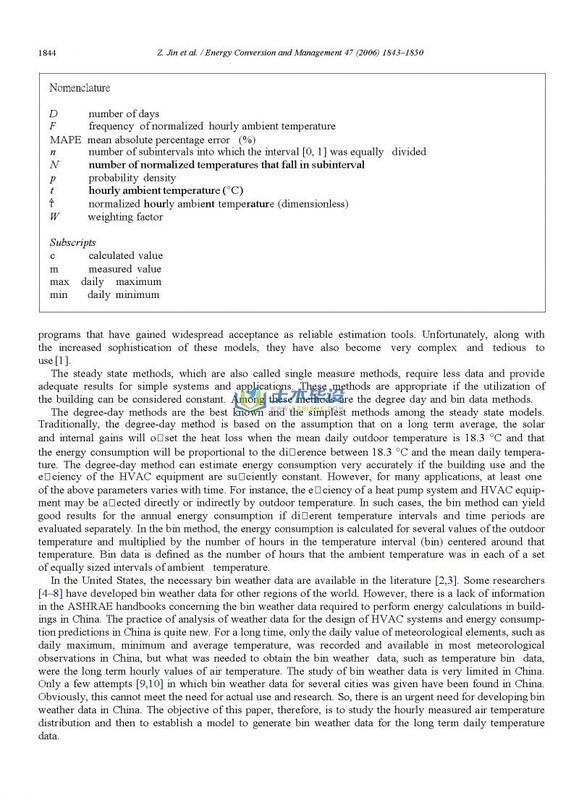 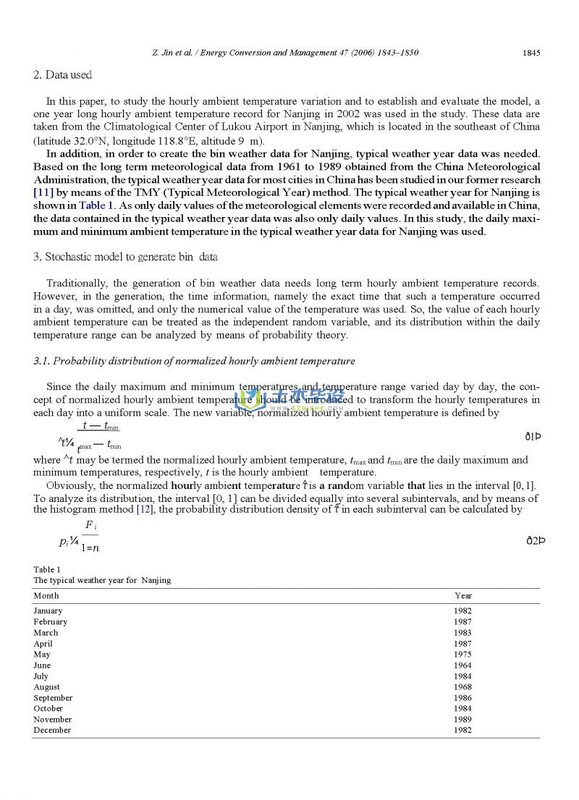 This stochastic model can be used to estimate the bin weather data in areas, especially in China, where the long term hourly temperature records are missing or not available.
? 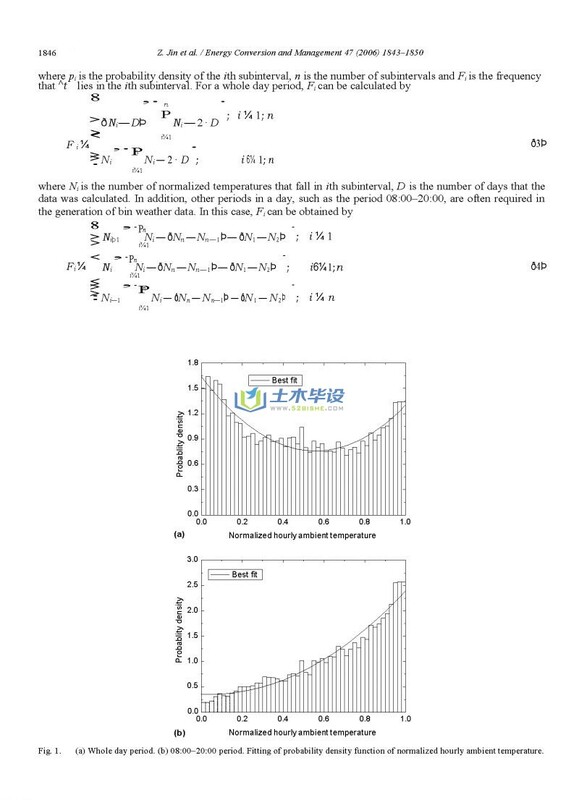 2005 Elsevier Ltd. All rights reserved. 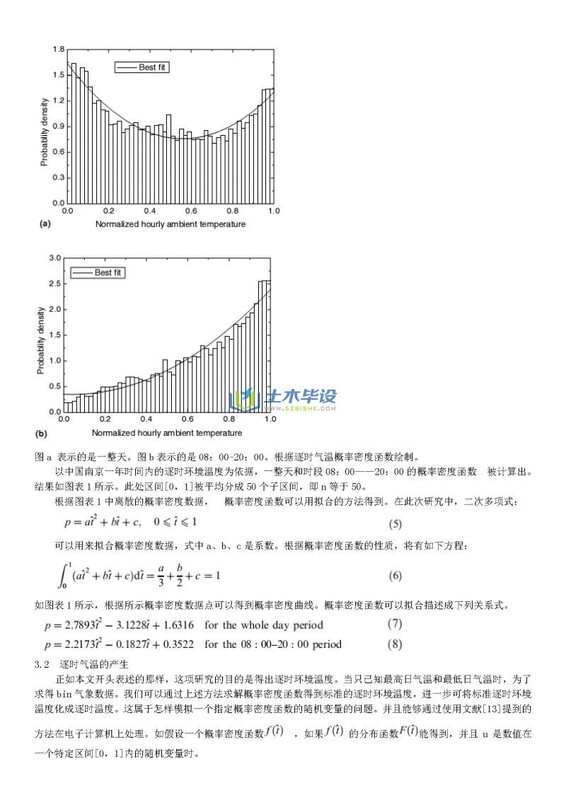 In the sense of minimizing the life cycle cost of a building, energy analysis plays an important role in devel- oping an optimum and cost e?ective design of a heating or an air conditioning system for a building. 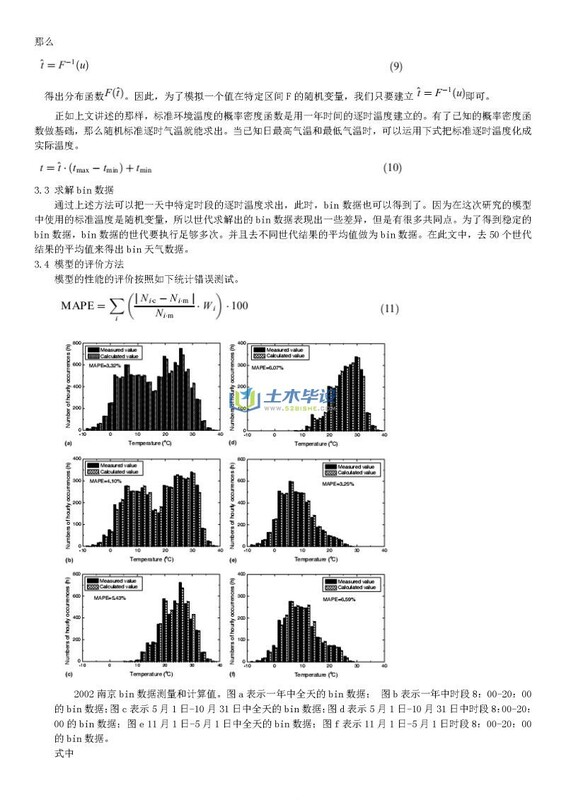 Several models are available for estimating energy use in buildings. 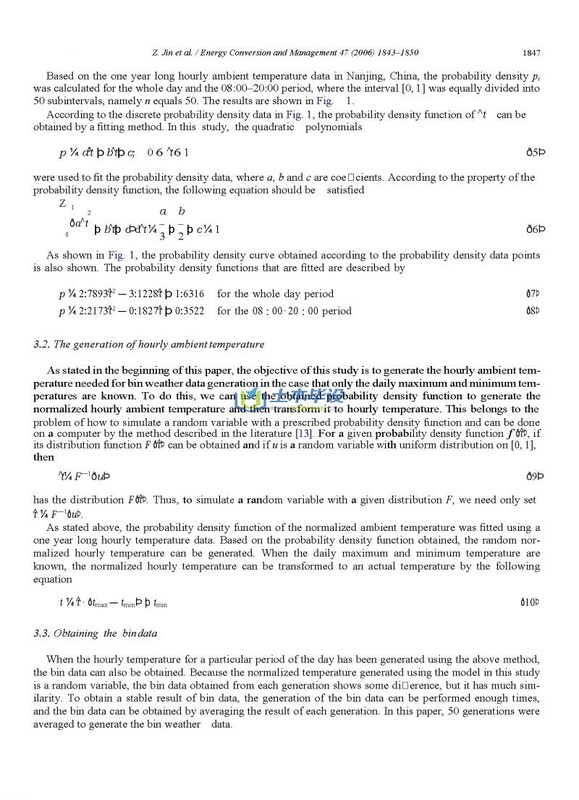 These models range from simple steady state mod- els to comprehensive dynamic simulation procedures. 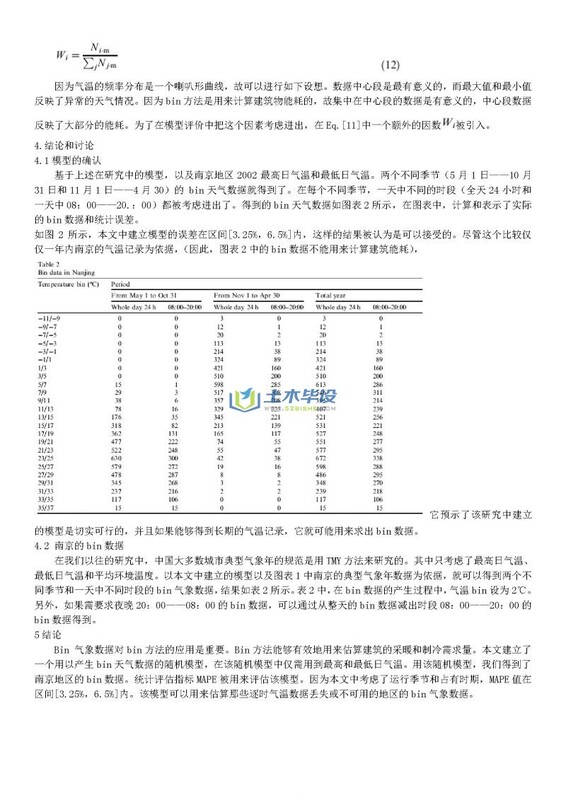 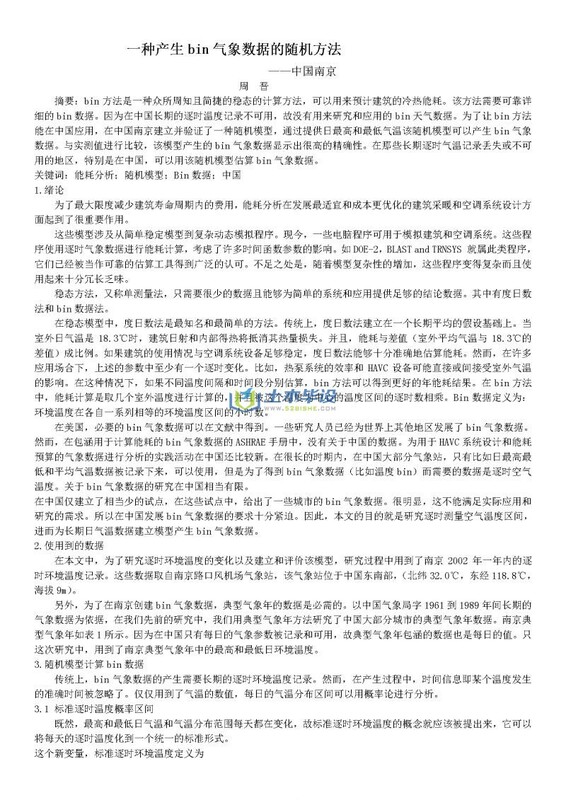 ©2010-2019 www.52bishe.com 地址:天津市 和平区 全网最大的土木工程专业毕业设计网站，高校土木工程专业大学生学习平台!